In January 2017, we spent one incredible week at Universal Studios, Orlando. A theme park that perhaps rivals any other for its sheer size, attention to detail and visitor experience, it was a week that we will never forget. 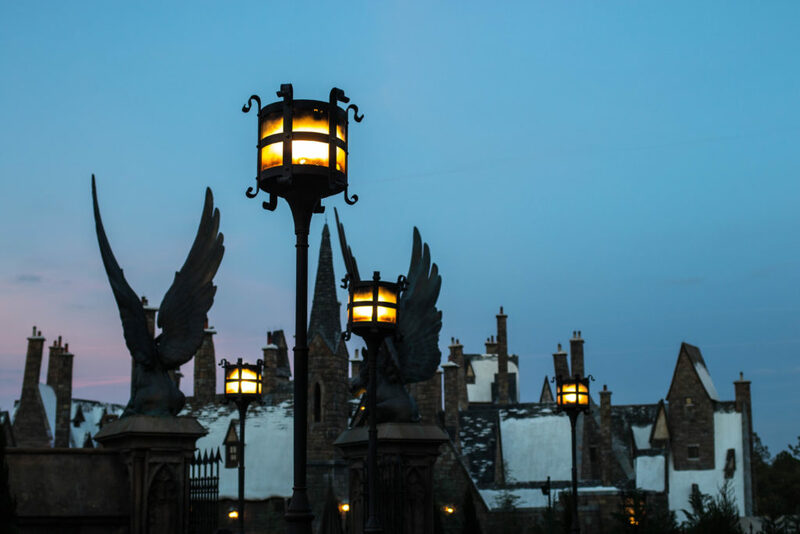 Although we have written separate blog posts on The Wizarding World of Harry Potter and the details of Universal Studios, this article focuses on those lesser publicised parts of the park. 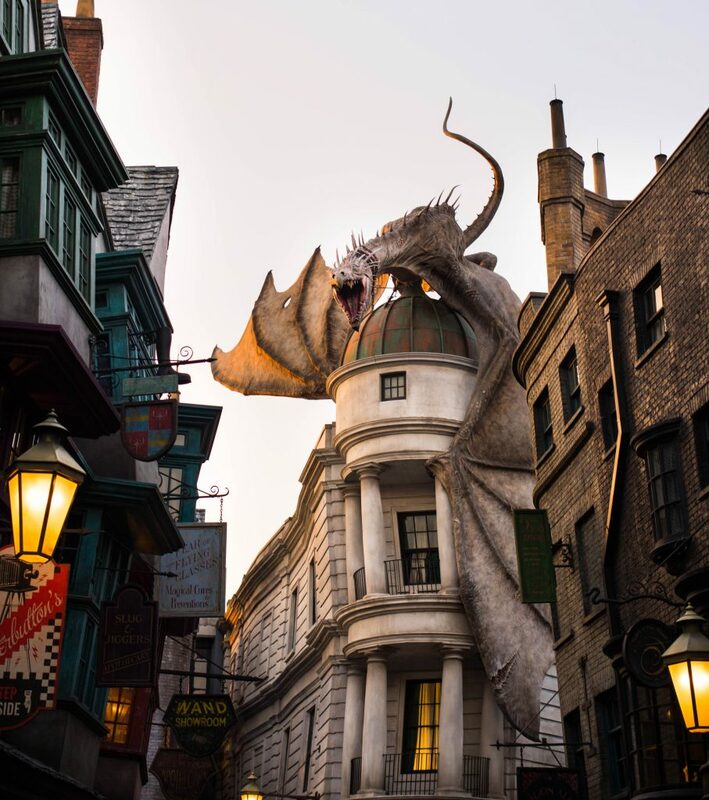 Below is our list of the best things to do at Universal Studios, Orlando, focusing on the park’s many hidden gems. Growing up in the late 80s and early 90s, I was part of generation Americana. Despite being born in Milton Keynes General Hospital, I spent most of my childhood trying to recreate the American lifestyle within the confines of my Buckinghamshire home. I’d watch ‘Saved by the Bell’, ‘Clarissa Explains it All’ and ‘The Fresh Prince of Belair’ with intense scrutiny; obsessing over what they wore and ate. The idea of having meat loaf for dinner preoccupied me for at least two years. For my 10th birthday, I was given the game ‘Dream Phone’, which featured an oversized pink phone that played the robotic voices of your supposed American sweetheart. The US was for me, and perhaps most of my generation, a shiny and intoxicating place: a place of proms and fries; big homes and bigger hair. I was desperate to visit. Sadly, my family holidays tended to orbit two locations: northern France or Malaga, Spain. My parents seemed unaffected by my American fantasy, instead preferring to solemnly march us around the muddy trenches and war fields of Normandy. Yet, as I’ve got older, I’ve clung on to my American dream –hoping that one day I’d make it to an American resort or theme park, to finally live out my fantasy. I’d eat hotdogs and ride rollercoasters, play in arcades and drink soda. Maybe I’d even meet Brad. The waiting paid off. At the end of last year, we were contacted by Visit Florida and asked if we wanted to visit Universal Orlando Resort. 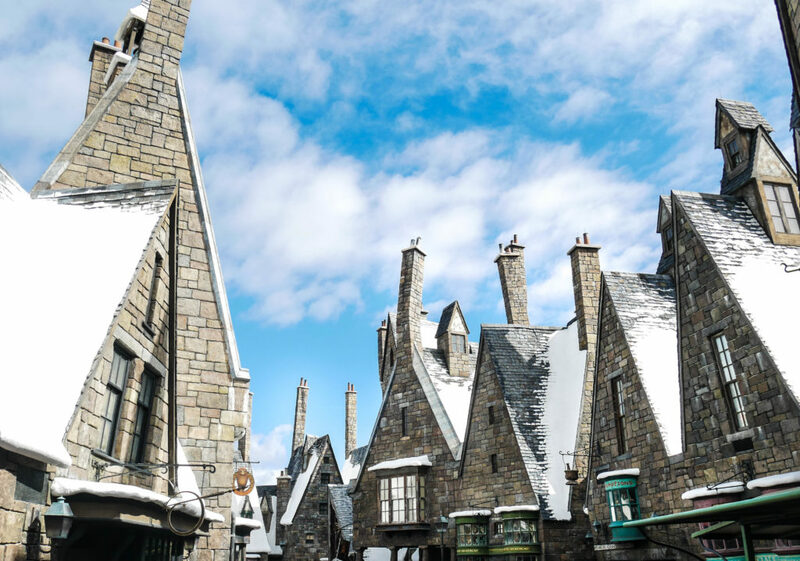 We would be staying within the resort and would spend the week running around both Universal Studios and Islands of Adventure, the resort’s second park. I nearly had a stroke. Perhaps it was just good luck, or perhaps it was karma after a childhood spent drifting around war memorials, but I shall keep that email until my dying day. It goes without saying that we immediately agreed to the trip, and a few months later we were soon on our way. 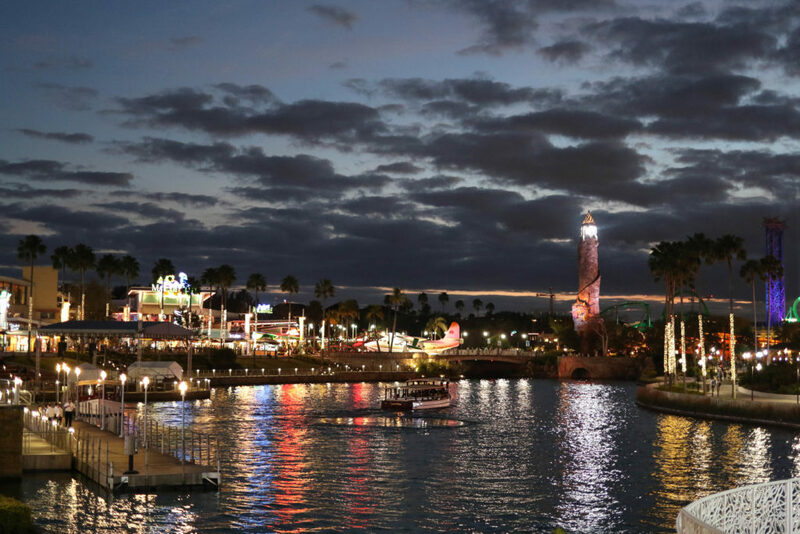 Universal Studios, Orlando is Universal’s flagship park – its Mecca. Co-founded by Steven Spielberg, the park opened in 1990, just as my obsession with America began. Guests could enjoy the ‘ET’ ride, before getting drenched on the infamous ‘Jaws’ experience. It was a 1990s movie haven: a place of pink hair scrunchies, bum bags and ‘Back to the Future’ fans. However, it’s now 2017 and although the park is no longer dominated by early 90s films, it is bigger and better than ever. 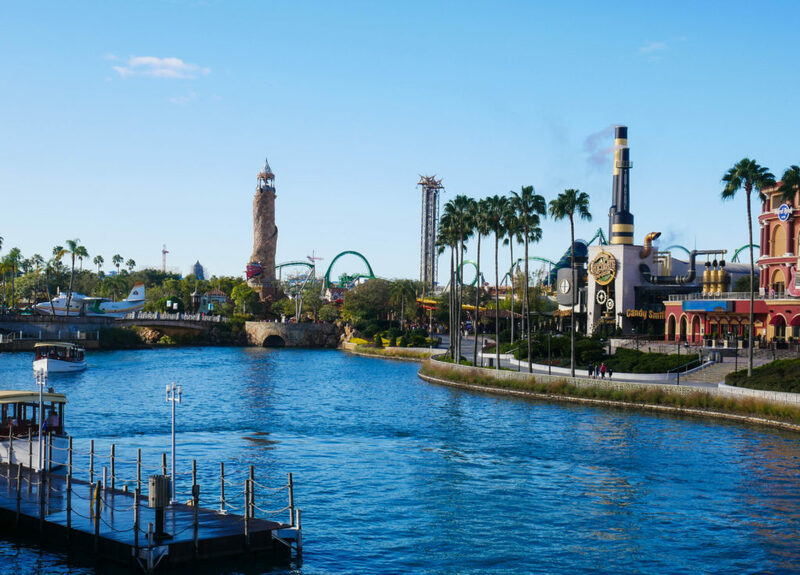 The park has grown into a resort, featuring a second park – Islands of Adventure– and a host of luxury hotels, all a short water taxi ride away from the park gates. This isn’t a place to spend a rushed few hours, but somewhere to bring your suitcase and settle in for a week of rides, relaxation and incredible food. Indeed, when writing this list of the best things to do at Universal Studios, Orlando, it’s a little overwhelming to know where to begin. We flew directly to Orlando airport with British Airways from London Gatwick airport. The flight took just under nine hours in total, but do be sure to allow extra time (an hour at least) for U.S. Customs once you’ve landed. Once out the other side, our journey to Universal Orlando Resort from the airport was short, but memorable. After collecting our car from Hertz, we set off on our inaugural journey. All 15 miles of it. It was dark and raining as I veered onto Orlando’s highways, joining more lanes of traffic than I was comfortable with. Sitting a few centimetres away from the steering wheel and bolt upright, I maxed out at 40mph. Claire shouted directions. Eventually, we spotted the glittering sign of the Universal Orlando Resort and pulled in, driving down the long, palm tree lined boulevard towards our hotel. Although it was no longer raining, I couldn’t turn the windscreen wipers off, so we came to an abrupt halt outside the valet, windscreen wipers dramatically thumping and me, squashed between my chair and the steering wheel. First thing’s first: the accommodation. The hotels at Universal Orlando Resort are world-class. 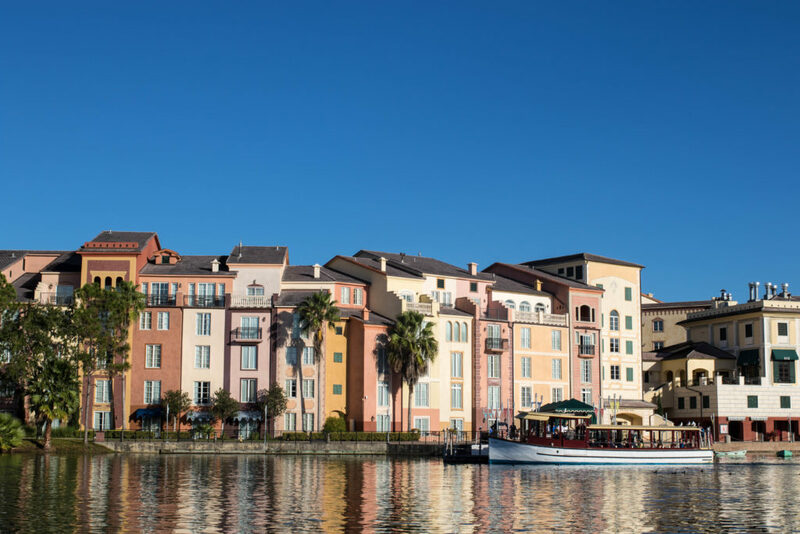 Offering five different hotels, each with its own distinct theme, the resort caters for guests ranging from families through to couples on romantic getaways (check out the Loews Portofino Bay Hotel – it even features its very own moored fishing boats and parked vespers). We were initially staying at Loews Sapphire Falls Hotel for a few nights, before moving to the infamous Hard Rock Hotel. As a hotel lover, I can genuinely say I loved both. Whilst Sapphire Falls is the resort’s newest hotel, with a relaxed Caribbean theme (the smell of mango in the air made my mouth water), Hard Rock channels a distinctly LA ‘villa’ vibe, with towering palm trees and the sound of cicadas filling the air. There’s even a quiet butterfly garden for guests to enjoy. These certainly aren’t your usual theme park hotels, but beautifully kept and fashionable retreats. Surrounded by lakes, rivers, weeping willows and delicate flowers, it’s hard to imagine you’re only 10 minutes away from the screams of rollercoaster-goers and the resort’s 30,000 daily visitors. Prices for The Hard Rock hotel begin at £430 per night for a Standard Room and £253 per night for a Standard Room at Loews Sapphire Falls Hotel. Having survived the car journey, we were checked into our mango-scented room, with a view over the hotel’s enormous pool. However, this was eclipsed by the little bag of treats that Universal had left on our beds. These included the softest unicorn I’ve ever had the pleasure of hugging; our very own wands (these would come in handy later on); and a Transformers water flask. Fresh from our flight, looking magnificently greasy and creased, we headed downstairs to the hotel’s Strong Water Tavern, to meet with Fi – the lucky lady who gets to work with Universal Orlando Resort every day of her working life. Over a Caribbean-inspired tapas, Fi explained the rest of the week to us. 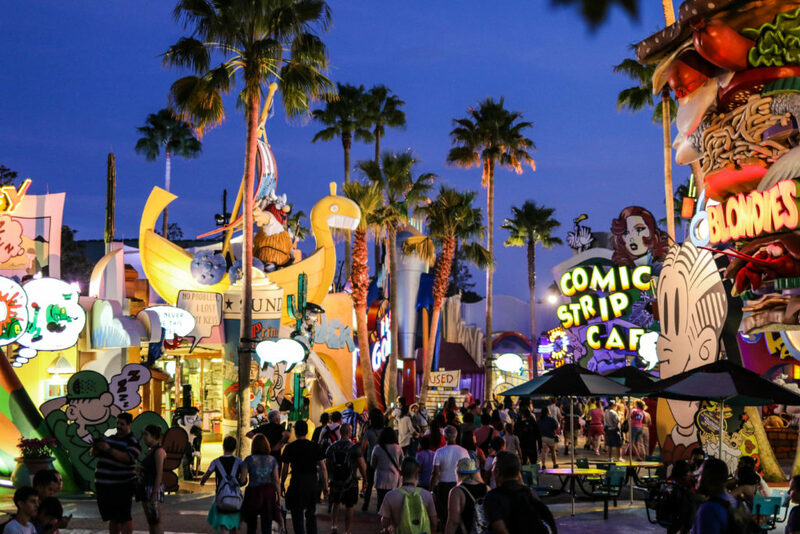 This would include two VIP tours of the park (read: no queues), some behind the scenes sneak-peaks; tickets to see the surreal, but incredible, Blue Man Show; and dinners along the Resort’s legendary CityWalk. Claire and I sat staring at Fi with our mouths open, unsure what to say or how to thank her. We were about to have the best week of our lives. For anyone looking to truly make their time at Universal Studios an experience they won’t forget, then I’d definitely urge you to explore staying in one of the park’s hotels. Even just one night here is easily one of the best things to do at Universal Studios, Orlando. ‘I’m too excited to sleep’, Claire yelled at 5am. 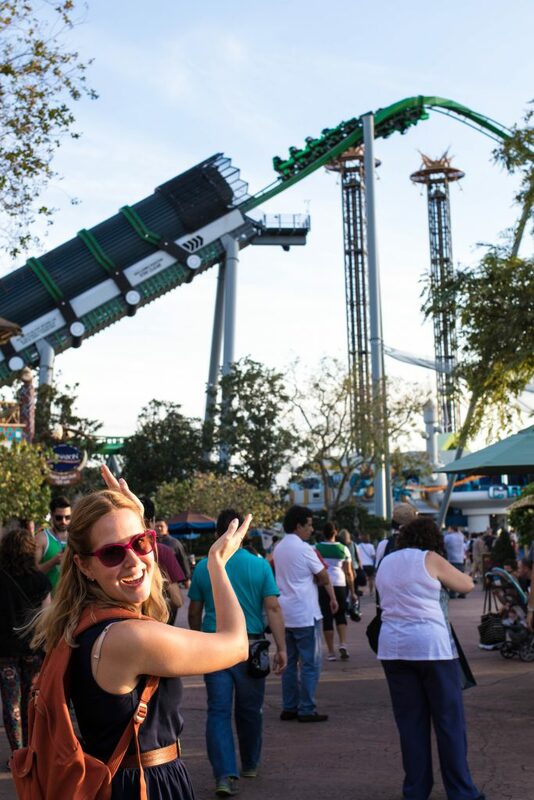 Sat in her pyjamas, her hair everywhere and clutching her unicorn, I decided that although we were both 30 years old, a week in the Universal Orlando Resort was the perfect time to be a big kid. I bounced out of bed immediately. After a huge breakfast and having located our water taxi, we set off for our first day in the parks. 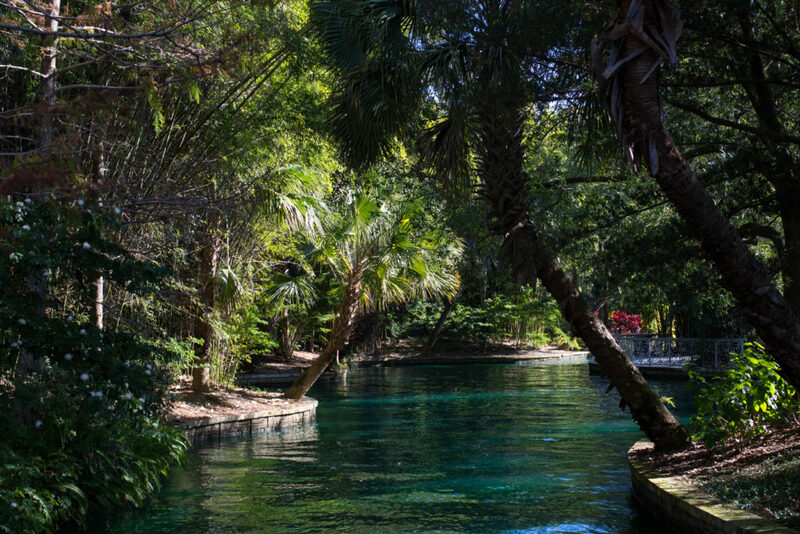 It was a balmy 24 degrees and the sun was shining as we chugged gently down the turquoise river, towards the park gates. We could hear the music starting to build and caught sight of a bright green roller-coaster shoot its passengers high into the sky, before diving down behind the trees; their screams getting left behind. For the next two days, we would be with the lovely Fi and Rich – our official tour guide of Universal Orlando Resort, and the very man who would lead our Universal Studios, Orlando, VIP Experience. Rich is perhaps one of the most brilliant people we’ve had the pleasure of meeting; able to recite every story line, narrative or poem relating to the Studio’s many featured films and books. He was our first insight into the philosophy behind Universal Studios and Islands of Adventure. In the past, every theme park I’ve ever visited has been very similar: featuring a cluster of rides, fast-food joints and stationary queues. There’s no real narrative or history to tell, just a collection of fast roller-coasters and thrill seekers. Behind the rides and hamburgers, they all feel a little empty. However, as Rich began to tell us the history of Universal Studios, pointing out its many hidden details, references and tributes, it was clear that these parks were much more than just a collection of flashy rides. They were entire worlds. Worlds crafted from the stories of our favourite heroes and villains. Worlds where detail is king; ensuring that the stories – from King Kong to the Cat in the Hat – step out from their books, or TV screens, and into our reality. 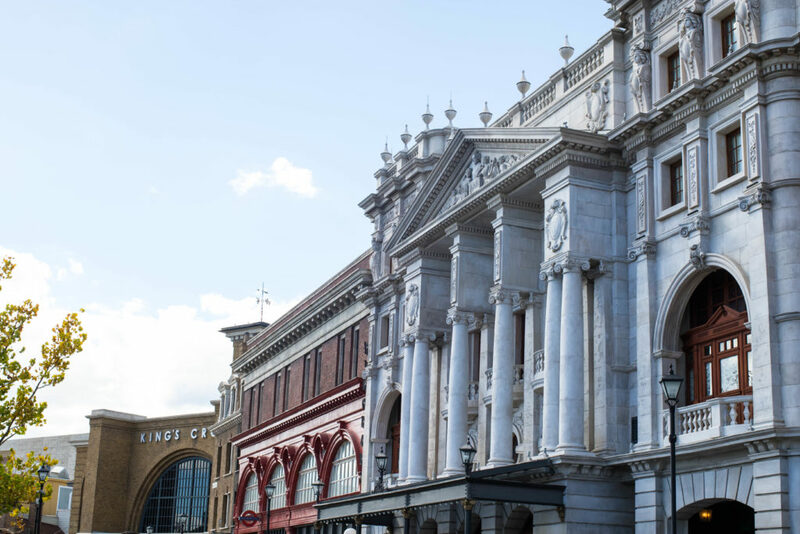 They are immersive experiences – incredible places – that let you leave the real world for a while, and pretend for just a moment that wizards, witches, cartoon characters and super heroes really do exist. 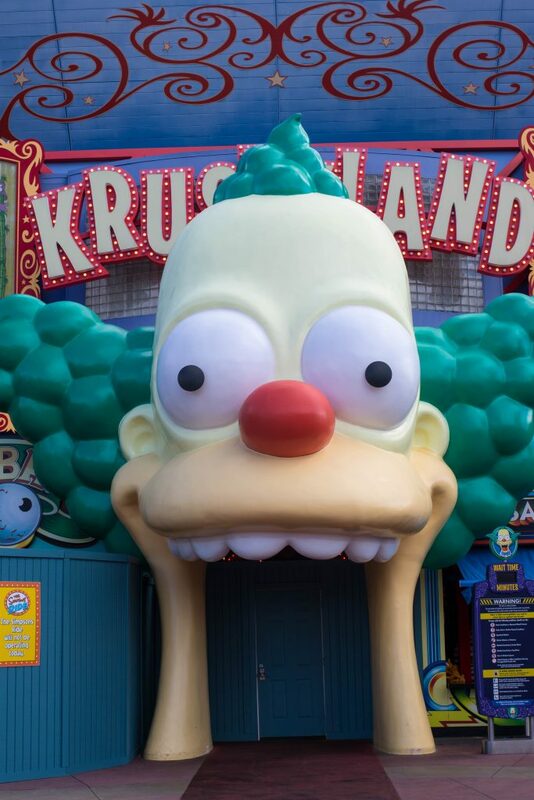 What Else Is Included in the Universal Studios, Orlando, VIP Experience? 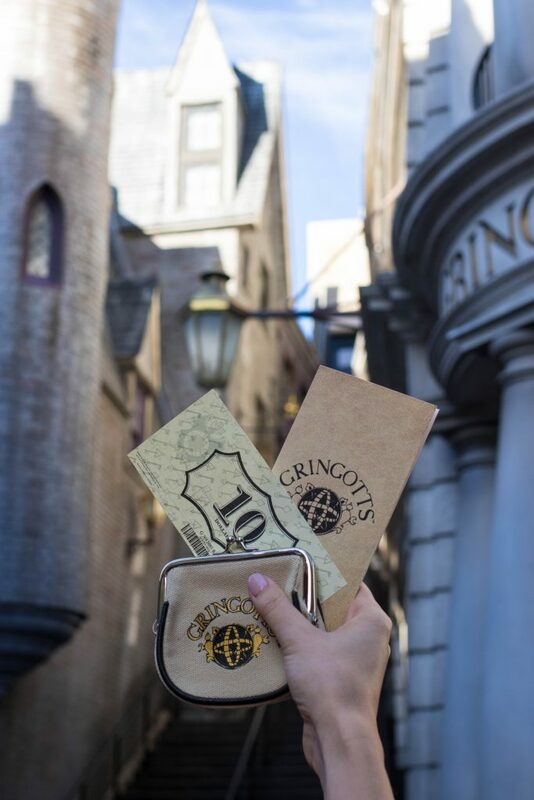 Universal Studios, Orlando, VIP Experience afforded us the opportunity to enjoy the park from an entirely different perspective: one based on hidden details, long histories and immersive stories. However, it also offered much more than this. Throughout your eight hour VIP experience (complete with tour guide), you are also able to entirely skip queues for every ride, experience behind the scenes shortcuts, enjoy a VIP breakfast, have access to the park via a VIP entrance, have access to free ride photos and enjoy a VIP lunch in one of the park’s many restaurants. It truly is a fantastically over-the-top, yet unforgettable, way to experience the theme park. 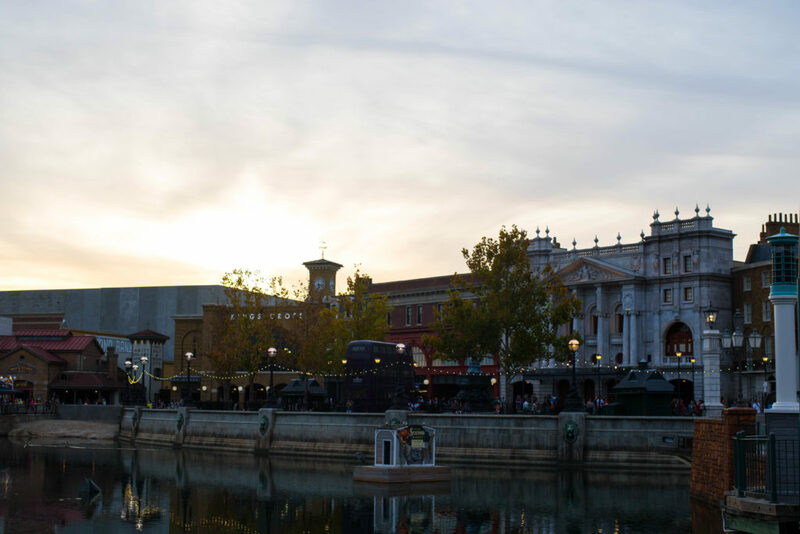 In terms of the best things to do at Universal Studios, Orlando, the VIP Experience is certainly one of them. The VIP Experience begins at $189.00 per person. 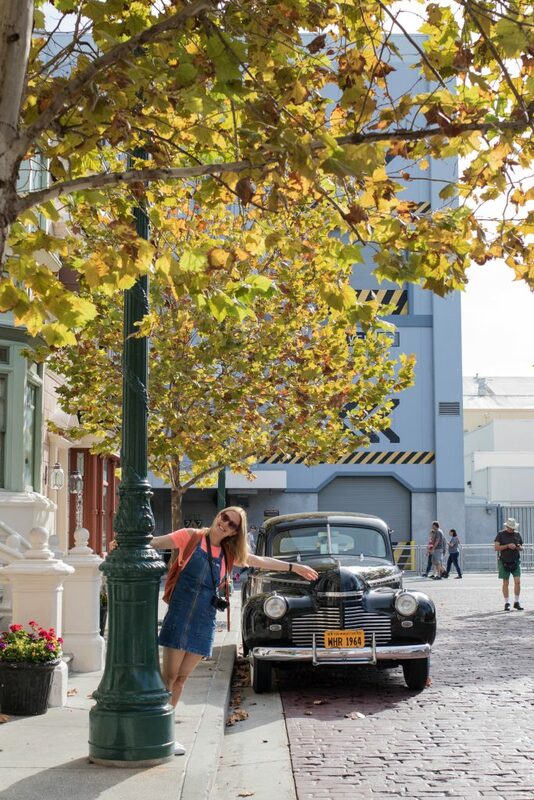 Within our first morning in Universal Studios, Orlando, we had walked through 1920s New York; the scent of pizza wafting down the street and the Blues Brothers singing from the steps of a traditional red brick house. We had walked through Hollywood Boulevard, passing vintage cars and Marilyn Monroe signing autographs. A few minutes later and we had arrived in San Francisco, stood peacefully in the sunshine on a wooden peer; seagulls squawking overhead. 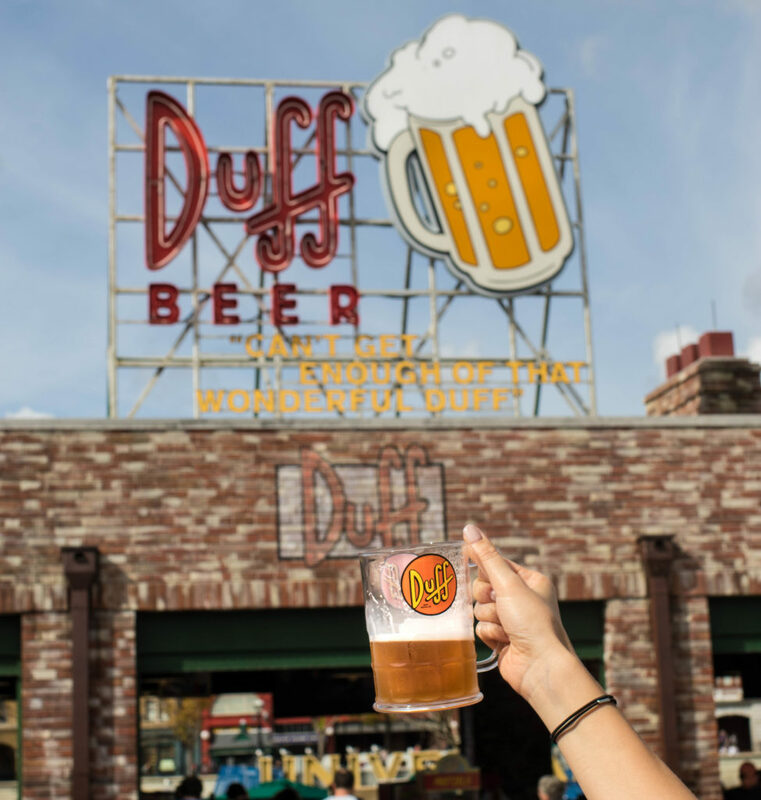 Across the water sparkled Springfield, home to Moe’s Tavern and Krusty Burger. Up the road glittered Harry Potter’s very own Diagon Alley; a crowded street of leaning shops filled with wands, wizarding goods and a fire-breathing dragon. Come the afternoon and we had moved across to the Resort’s second park: Islands of Adventure. Here we wandered the incredible worlds of the Lost Continent; Seuss Landing; Marvel Super Hero Island and of course: The Wizarding World of Harry Potter (Hogsmeade and Hogwarts). Walking the parks like this – without dashing onto rides or standing in lengthy queues – allows you the opportunity to truly appreciate just how incredible, detailed and immersive this resort is. 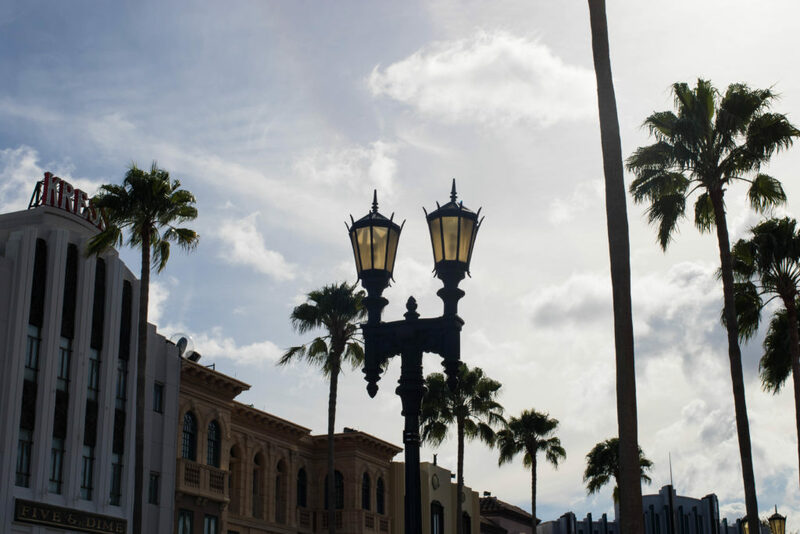 From discovering quiet, blossom-filled spots, to finding yourself walking through Egyptian Pyramids, one of the best things to do at Universal Studios, Orlando, is to simply explore by foot. 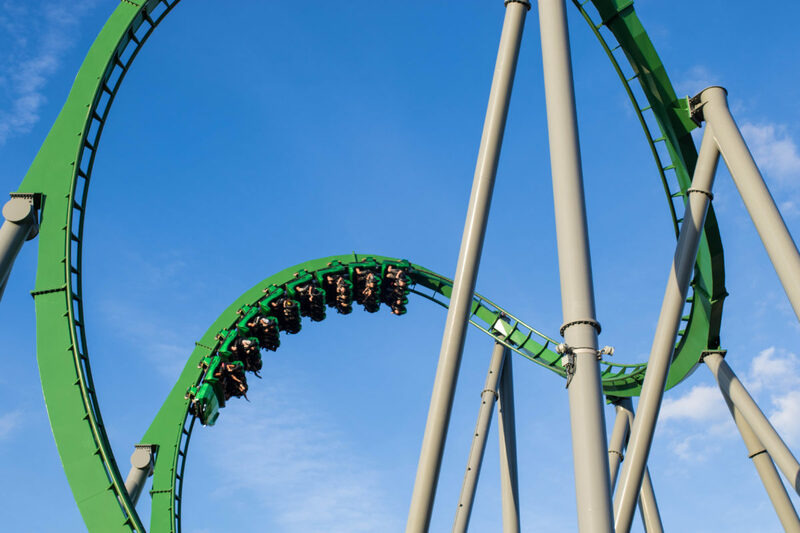 Arguably the most brilliant ride at Universal Studios, Orlando, is the frenzied ‘Hulk’ rollercoaster. Strapped in on the front row, our time on the ride began with a slow crawl upwards through a tunnel. Yet – and whilst happily chatting away to Claire – we were suddenly, and a little violently, launched out of the tunnel. Reaching 67mph, we twisted through seven inversions and were engulfed by plumes of dry smoke. My mouth was still open from talking to Claire throughout the entire thing. When we came to a standstill, Claire said she couldn’t feel her face. We wobbled off, still dizzy from the G-force and laughing hysterically. Following this was a blur of yet more thrilling rides. The Hollywood Rip Ride Rockit was another of our favourites. This rollercoaster lets you choose your own song, then films a music video for you as you ride it (naturally, we chose ‘I Will Survive’ and the music video nearly made me suffocate, I laughed so hard). We also rode The Mummy twice (an indoor roller-coaster) and took our shoes off as we rode the Dragon Challenge ride in Hogsmeade; our feet flying through the air. The new King Kong Skull Island ride was also brilliant – using multi-dimensional and multi-sensory effects to transport you into Kong’s jungle, complete with dinosaurs and splatters of blood. Lastly, the Dudley Do-Right’s Ripsaw Falls flume ride, with its 75 foot drop, was absolutely brilliant. Claire and I came out the other side with mascara dripping down our faces and squelching shoes. It was hilarious. After our first day in Universal Studios and Islands of Adventure, we left completely spellbound. 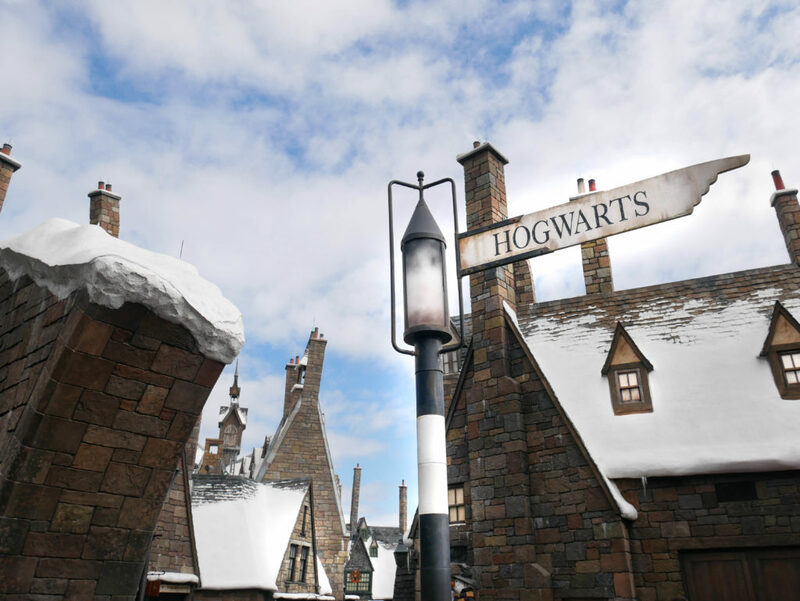 From Suess Landing, where, in honour of Dr. Seuss’ own books, there are no straight lines at all, to the incredible Hogsmeade and Diagon Alley, being in the parks was like stepping into a film or a book. At one point, I witnessed a grown woman grab her young daughter and shout: ‘aren’t you just so excited you want to die’? Yes, that’s exactly how I felt. 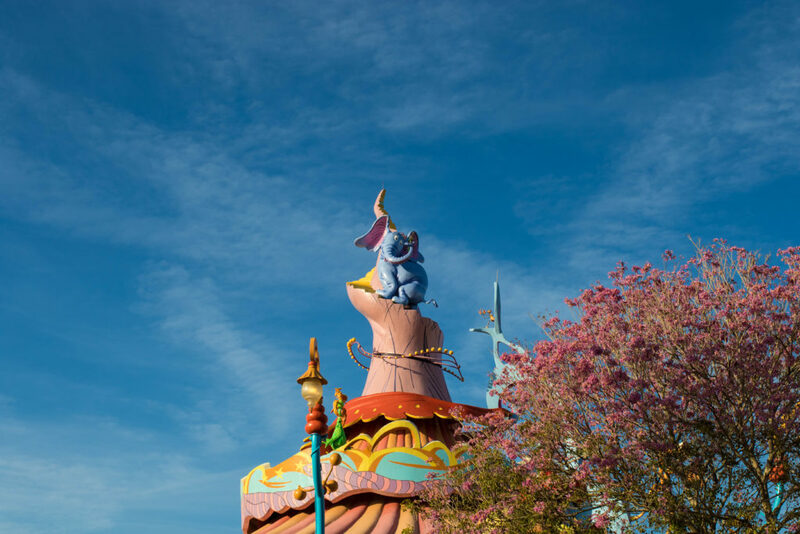 There was a magic in these parks that even adults couldn’t deny. 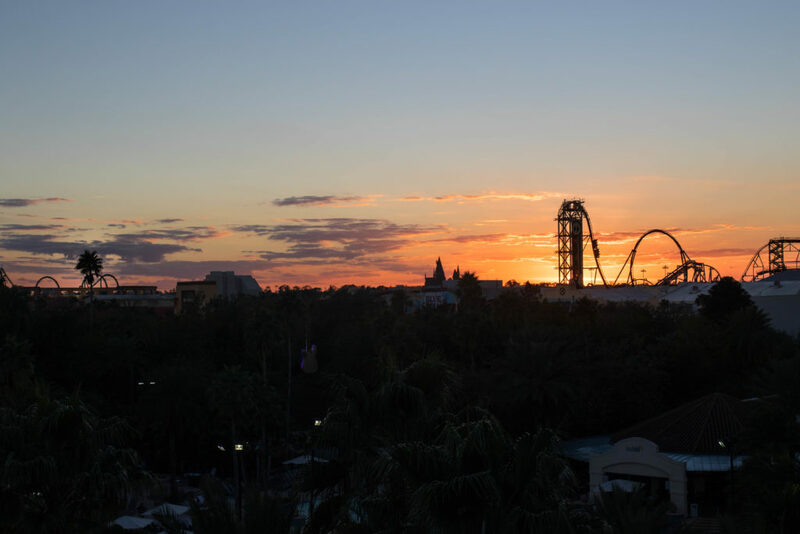 Leaving the park, the sun setting over heady palm trees, we headed to dinner along the CityWalk: the resort’s stretch of surprisingly brilliant restaurants and bars. Here we had dinner at the ridiculously fun Toothsome Chocolate Emporium: a 19th century inspired steampunk chocolate factory. If you like sweet things, this place is everything you’ve ever dreamed of. On the menu was even a red velvet milkshake, with its very own red velvet cupcake perched on top – a sugary heaven. Indeed, if there is one place you have to eat at within the resort, it’s here. Other restaurants definitely worth trying are Cowfish – offering indecisive guests both burgers and sushi; Vivo – a delicious Italian restaurant; and Antojitos Authentic Mexican, home to the best homemade tortillas in town. Overall, the food available throughout the entire resort is exceptional, without a drooping hotdog in sight. 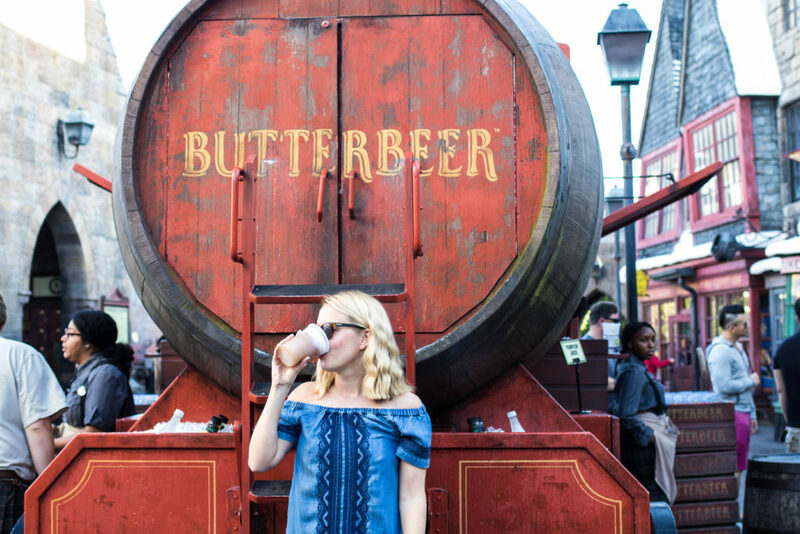 In fact, the foodie scene here was easily – and perhaps most surprisingly – one of the best things to do at Universal Studios, Orlando. Dinner done and slightly delirious after a day of sunshine, magic and roller-coasters, Fi took us to CityWalk’s famous attraction: Rising Star. This karaoke bar features not only a live band, but backing singers – handy for drowning out your own dulcet tones. After some persuading and watching what felt like ‘America’s Got Talent’, Claire and I staggered onto stage, ready to wow the audience with of our rendition of Spice Girls’ ‘Wannabe’. As the host asked where we were from, we shouted ‘London!’, turning excitedly towards the audience, ready for their rapturous applause. Perhaps it was the adrenaline or the bright lights, but I didn’t hear anyone cheer. In fact, it was an apt moment for some tumbleweed to sweep across the stage. Undeterred, we launched into our song; reviving dance moves I’ve not sampled since a fateful school disco in 1998. It was a noisy, brightly-lit blur. It was a surreal end, to a magical day at Universal Orlando Resort. I couldn’t fault his logic. Universal Studios, Orlando, isn’t your normal theme park. It’s total and utter magic. "A Festive Trip to London"
"The Wizarding World of Harry Potter"
Girls, this all sounds so much fun! It’s also hilarious. It all sounds so magical – I’ve only ever made it to Disneyland Paris so I better up my game. Hahaha, we had only ever been to Disneyland Paris (for one day, one day…) too! So, this was like complete overload for us. I’m surprised we didn’t just lose our minds. I was also a child of the Saved by the Bell era and totally obsessed with all things American! A visit to Universal Studios looks so much fun, I also loved Back to the Future when I was younger so I’d love that retro eighties thing. Good on you for doing the rollercoasters, I’m scared of them too but because I’m scared of heights. I don’t think you’d get me on one of them to be honest! This post has definitely made me want to visit though. It was one of those moments when you just have to get on the rollercoaster before you overthink it. We overthought it too much as children, and we weren’t much fun. Having visited Orlando in my early teens, I can totally agree about the fascination about it being the dream holiday. Saved by the Bell was definitely one of my favourite shows too. Screech was my definitely my favourite character. You’re both braver than me for riding the rollercoasters. I’ve never actually been on one in my life! Looks like you both had a great time though. Getting good flash back memories whilst reading through! Aw ladies you’ve got me so excited for September when me and Ella (12) go for the first time. She’s already counting down the days! This sounds incredible! I’ve been looking forward to these posts since I saw your photos on Instagram. I’m not a roller-coaster fan (so well done for giving them a go!) and as such have tended to steer clear of theme parks. 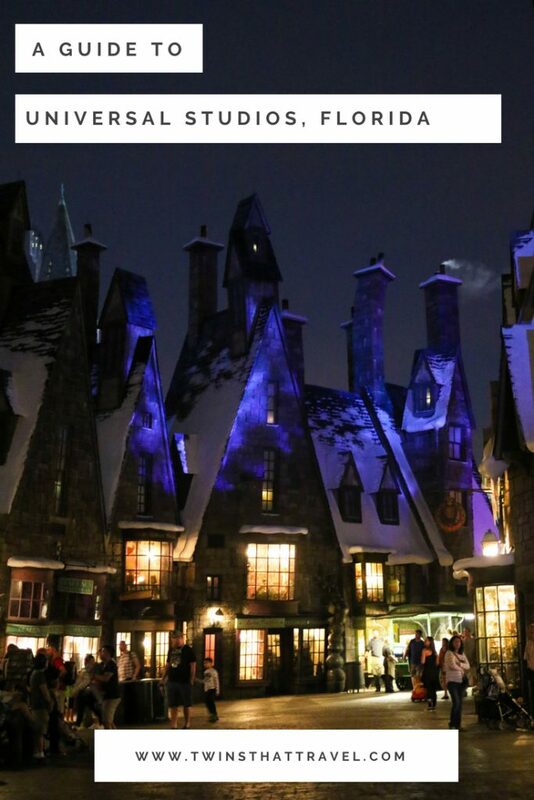 However this looks amazing and I would particularly love to see the Wizarding World of Harry Potter. Looking forward to the next few posts! I was a fan of the Fresh Prince of Bel Air too! This whole week sounds amazing, I love the sound of the VIP tours and what a treat to visit the Wizarding World of Harry Potter. We absolutely loved our recent Florida trip, we weren’t too far away from you two! Girls I was enjoying catching all your pics going up over the past couple of weeks and thoroughly enjoyed that post , it does sound amazing you now have us currently planning our family holiday for thelostboys for when coop turns 5( got a lil while to plan and save 😉 I want to go now , it sounds magical. Ryan, you’d love it – maybe more than the boys!!! I loved reading this! It made me laugh an awful lot. I’ve always thought Orlando was for kids but I need to seriously persuade my husband that we need to go. The Hulk looks amazing! Oh Amy, it’s definitely for adults!! It’s just brilliant! Great blog! You guys crack me up. I now really want to go! Anniversary holiday with beautiful Rhiannon?! Oh my god – that sounds such an amazing holiday! We’re 30 and liked it perhaps even more than the little kids. Have a brilliant time, Lisa. Wow ladies, it sounds amazing! I must admit it wasn’t on my list of dream destinations but I would LOVE to go now. First stop, The Wizarding World of Harry Potter! Oh, you’ve so brought Universal to life here! I can’t WAIT to visit with my children when they’re older; I also spent my childhood learning about war on Brittany beaches and though we made it to Florida by the time I was 14 I bet it would be even more magical now. Slightly jealous you made it to Florida at 14. We were in Tenerife by that point. Sooooo amazing reading about your trip. There are so many sides to Florida 🙂 I’m not a huge Potter fan but I have sooooo many friends who would be very jealous of your trip! Even though I grew up here in the states in the 90s, I agree with your post! As a child I think we all were obsessed with 90s shows and since most of them were filmed at Nick Studios in universal studios we like wanted to go so bad! I really wish Nickelodeon studios were still open, it made the experience so awesome and made the shows so real! Fun fact: I used to actually work at Universal Studios in Orlando!